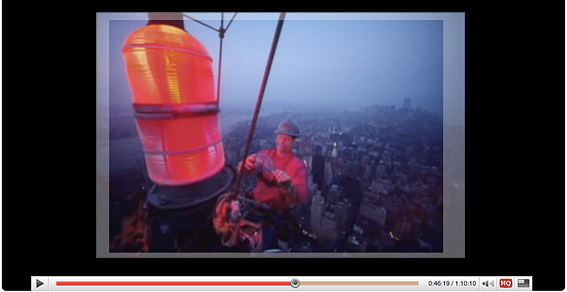 Question: When I looked at the video, "Joe McNally - Empire State Building," I could see the original shot looked much lighter (earlier in the day?) than what I saw on page 3 (worker holds bulb) in The Moment it Clicks, but more like the one on page 236 (Joe takes photo), although a bit lighter. Image from page 3 of The Moment It Clicks: Worker holds bulb. Image from page 236 of The Moment It Clicks: Joe takes photo. Knowing something about the publishing/newspaper industry, I know that original photos (either film or digital) can’t be printed but go through a process typically called "Make Ready," where the original RGB/CYMK image is converted into the CYMK printing plates and some adjustments are made. My conclusion is that if we try and shoot photos that look like what we see in print, we're barking at the moon, because print has usually been gussied up. However, we can gussy them up ourselves with Photoshop and thus can begin to make a valid comparison. As it is, IMO there's are too much information out there purporting to show newbies how to shoot original-un-gusssied-up originals that look like those that have been gussied up. Fat chance. I had a look at the slide of the worker and the bulb and compared it visually with what's in the book. Assuming that the original color was lost through the video, still, we can see some difference. Image 1: Original frame from the video, no crop. Image 2: Image 1 + grey frame showing how it was cropped for the book. 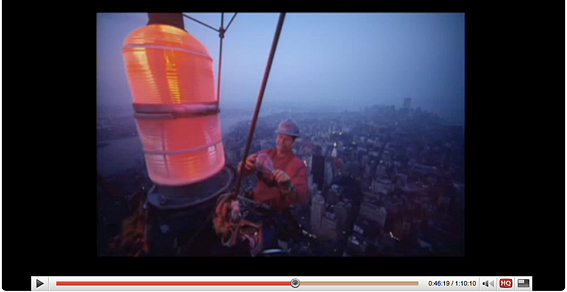 Image 3: Image 2 + changes to the color and brightness of the lamp and the worker. What stands out for me is the little blotch of white, more or less directly below the worker’s left hand. It appears on the video, but not in the book. So I conclude that it was removed either by you or whoever did the Make Ready. Don't get me wrong, I think it was a good thing as things like that catch the viewer’s attention and pull it away from the main subject. And while it's possible many times to remove such distractions before you press the shutter, sometimes it's not possible, and mostly you don't notice them until later on. So I spend a fair amount of time removing things that I see in Photoshop which I wasn't aware of at the time. I'm asking this because I have people asking me "What kind of camera do you have that makes pictures like that?" and are confused and disappointed when I tell them the result is a combination of the camera, the settings, the flash (if any), and Photoshop. These are not just point-and-shooters, but people doing off-camera flash. Answer: The shot on page three was the shot I was going for. I shot it on Ektachrome ISO 100 slide film with a 14mm f2.8 lens. It is pre-dawn, hence the moody glow. This was the frame that ran as a double truck in National Geographic, exactly as it came out of the camera. It is the select of the day. I shot a lot more, about 10 rolls, but as dawn gets brighter, you lose the glow of the red bulb, and the sense of pre-dawn mystery that is essential to the shot. The holding the camera shot was done with a fisheye lens attachment on a real early version of a Nikon Coolpix. That is also the the genre of pic you see in the video. The actual frame from Geographic is never shown in the video to my knowledge. The Coolpix stuff was shot much much later in the morning, when the sun was up and things were intensely brighter. No retouching has been done on any of the frames, save the digital files from Coolpix, which were sharpened and brightened a bit for publication. The Ektachrome frame that is the heart of the matter was dropped into National Geographic and The Moment It Clicks and looks pretty exactly as the original chrome looked.